Pilbeam Construction started as a family firm of building contractors back in 1955. Since then, we’ve grown into a 40-strong team who design, build and manage multi-million pound projects across the south east. Like our bigger competitors, we can comfortably accommodate large-scale, complex assignments across a range of sectors. 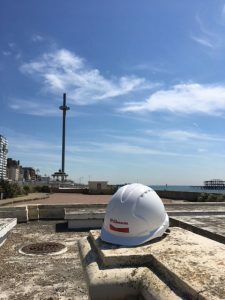 We pride ourselves in providing a personal service and a collaborative, proactive approach throughout – from the Directors right through to the site managers. We have a proven track-record in delivering challenging projects on time and within budget – including those in demanding live environments. A stable, loyal team and `can do’ attitude have meant successful delivery of wide-ranging contracts from £400,000 to £5 million. You’ll be kept in the loop throughout. Our site managers keep lines of communication open at all times. If there’s an issue, you’ll know about it immediately. Our professionally trained and experienced staff are able to anticipate problems before they affect the contract deadline or budget. We’ll actively listen to you, and we’ll pool brainpower and resources to find intelligent, practical solutions to problems. We’re serious about deadlines, we work with you as part of the team – high quality is at the centre of everything we do. Cutting-edge Union Square software allows meticulous planning and keeps us ahead of the game. Highly qualified manpower puts those plans seamlessly into action. You and your clients are regularly kept up-to-date by our collaborative management team. If unexpected on-site issues arise, efficient resequencing will minimise delays and rapidly get your project back on track. Our friendly, approachable team are backed up by a wide-ranging supply chain. If specialist technical or conservation skills are needed, we have trusted people immediately to hand. Get in touch with us on 01273 593494 or email us here. Andrew Thomason: FIH Managing Director at Gravetye Manor.